Endometriosis devastates the lives of women and their families. We help them take back control. One in ten women endure unrelenting pain that affects every aspect of their lives each day. Endometriosis UK provide vital support services, reliable information and a community for those affected by endometriosis. 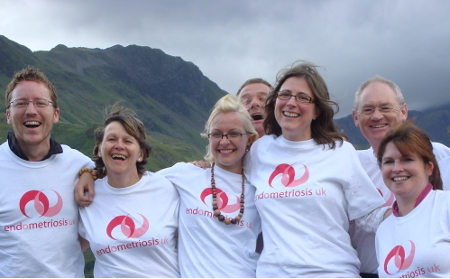 Help us improve the lives of women with endometriosis by getting involved with the work we do. Whether you want to fundraise, become a member, or simply donate, you can make a difference. Want to volunteer? Find out how you can volunteer with Endometriosis UK. Fundraise for us Looking for a way to make a difference? Fundraise for Endometriosis UK!